Did you know that insects live in very cold places? John Edwards knew. In fact, Professor John S. Edwards was known around the world as one of the pioneers of insect developmental neurobiology. And I was fortunate to be able to call him a friend. He died this week and I find his passing more unfortunate than any public leader or celebrity. Some years ago, a friend invited me to help out with an organization called Gallery Concerts; a group dedicated to having period music instruments perform chamber music in the small spaces there were designed for. The concerts are sheer delight. At one of the first meetings I sat next to a gentle white haired man with a goatee who glowed with his enthusiasm for the music. Later I was to learn he glowed about just about everything. If the term "twinkle in his eye" was created for anyone it was John. He was a leading scholar in the ecology of high-altitude insects, cold tolerance of Antarctic insects, the role of insects in ecosystem regeneration following volcanic eruptions, and the evolution of insect flight. A New Zealander, John earned his Ph.D at Cambridge. At the University of Washington John taught entomology, human ecology, served as the Director of the Undergraduate Biology Program, Director of the UW Honors Program, and was appointed Emeritus Professor of Zoology in 2000. Although a humble man, others noticed his exploits. He earned a Guggenheim Fellowship, a Senior Humboldt Research Award, and a Jacob Javits Neuroscience Investigator Award. He was a University Liberal Arts Professor, named a Fellow of the American Association for the Advancement of Science and of the Royal Entomological Society of London. He served as Program Director for Developmental Neuroscience at the National Science Foundation. 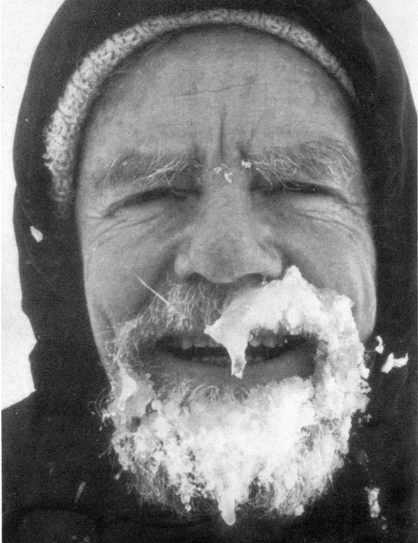 Art Davidson says, in his account of the first winter ascent of Denali (Minus 148°), "My first meeting with John reaffirmed the legend. I had traced the sounds of a concert through several corridors at the Institute to a short figure hopping about from leg to leg while vocalizing the entire woodwind section of an orchestra. " Other than the fact he was a professor in biology, I knew none of this even after years of attending meetings and concerts with him. I made a particular mistake once - by mentioning to John that my son had applied to attend the University of Washington. He prodded relentlessly and learned that Taylor was interested in Biology, specifically astrobiology. I could see John's temperature rising. He wasn't "Hoping from leg to leg" but almost. He asked in that pleasant way that borders on professorial curiosity, that Taylor simply must telephone him for a tour of the department. After reading about the Professor on line, it took Taylor several weeks to summon enough courage to call. But when he did - John needed no prompting to remember his name or why he was calling. A whirlwind tour took place a few days later where Taylor was introduced to everyone with such lavish praise that my 6'6" son stood even taller than usual when retelling the tale. Some years before John had patiently suffered through my telling of how our family had driven to all the way to Mt. Denali (Mt. McKinley) that summer and Taylor, then age 12, had found and photographed a rare Pika; which sent the visitor center biologists into a tizzy. 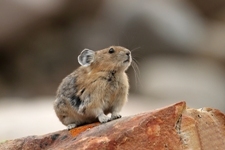 Who could know an important professor would remember such a small thing from years earlier; but during the UW tour John quizzed Taylor relentlessly about the Pika, where it was found, what time of day, what type of terrain. Taylor was impressed at John's curiosity. He was proud to be considered important but then somewhat astonished when John casually mentioned, "You may find it hard to believe but I was on the expedition that did the first ascent of Denali." When Tay recited this story at home hours later I saw in his eyes the look of admiration that a young boy can have someone suddenly explodes his idea of what is possible in life. You can be a scientist, you can climb mountains, you can write eloquently, you can win awards, you can be a gracious considerate person, you can be an impressive senior citizen who still cares about what a 12 year old boy cares about. Astonishing. Today when we learned that John has passed away, things stopped for a few hours for Taylor and I. We went about our work but cared about this man we spent little time with. We admired his work. We admired his attitude. We admired him. Although I did not have the chance to see John much in the last few years, Taylor and I did think of him occasionally. When watching a science TV show, when the subject is insects, biology or scient in general, when daring people climb tall mountains, when university life is depicted - the Pika story is retold and then someone inevitably says, "you might find it hard to believe. . . ". And we smile.